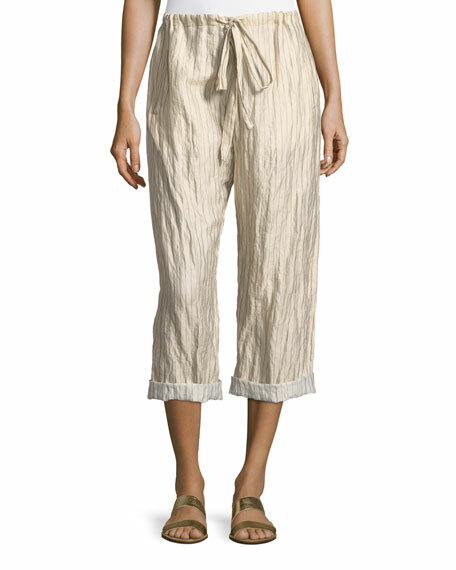 Forte Forte Crinkle Pinstripe Drawstring Pants. 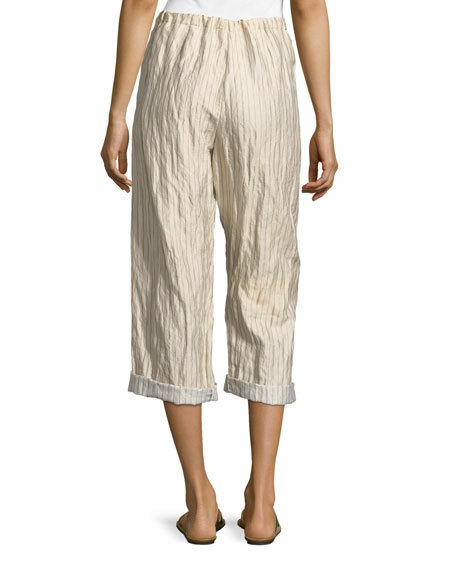 Forte ForteCrinkle Pinstripe Drawstring Pants. 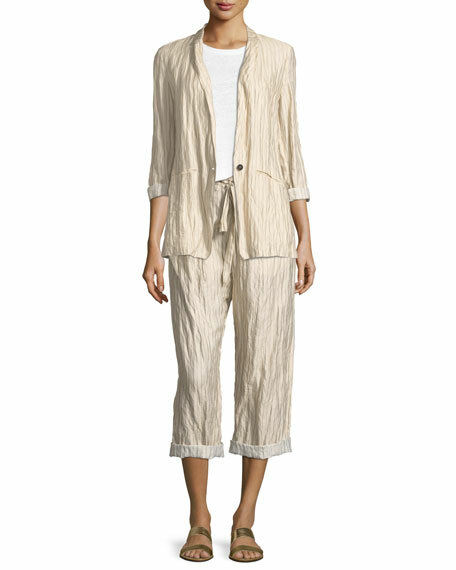 Giada Forte crinkle pinstripe pants. Delicate construction and feminine lines characterize contemporary womenswear label Giada Forte. Launched by sister and brother Giada and Paolo Forte, the namesake collection offers effortless silhouettes and timeless pieces designed to build a simple, yet sophisticated wardrobe. Each season, Giada Forte apparel tells a fascinating story through luxe embellishment and romantic detailing, offering an alluring peek into the personalities of the designers. For in-store inquiries, use sku #2521771.